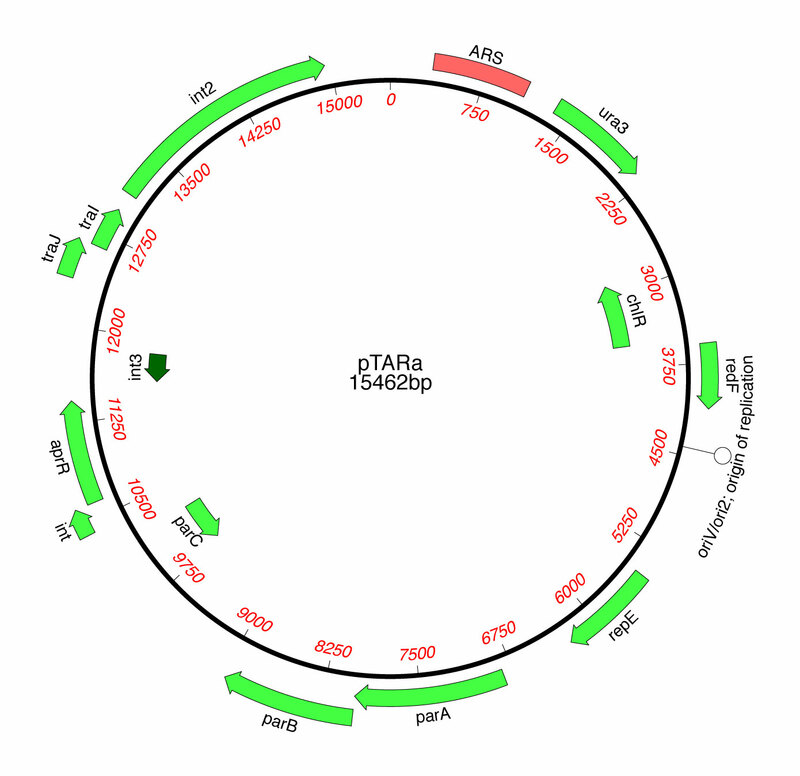 pTARa is a BAC-based S. cerevisiae/E. coli/Streptomyces shuttle capture vector. This vector contains elements that allow pathways to be assembled in S. cerevisiae, characterized and maintained in E. coli, and conjugatively transferred into a wide range of Streptomycetes for heterologous expression studies. Cloning large natural product gene clusters from the environment: piecing environmental DNA gene clusters back together with TAR. Kim JH, Feng Z, Bauer JD, Kallifidas D, Calle PY, Brady SF.